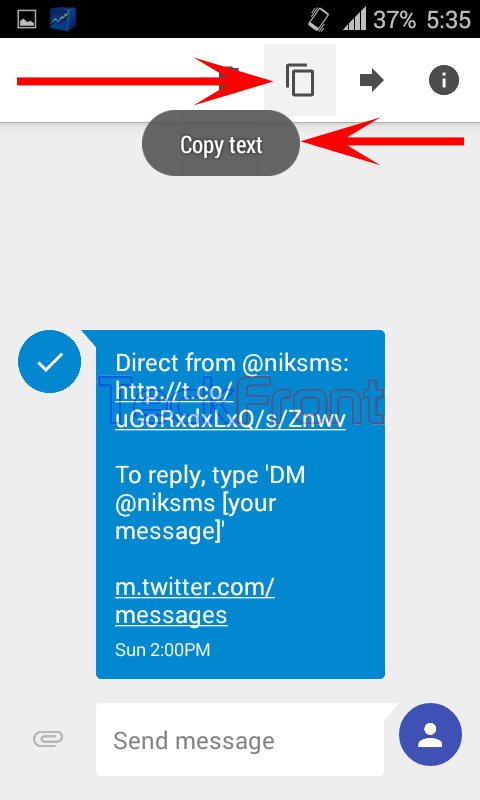 Now, in Messenger app of Android 5.0 Lollipop, 4 different options, delete, copy, forward along with detailed info about the message have been given at one place. You may perform all these processes just at one step. To perform these processes, follow instructions. 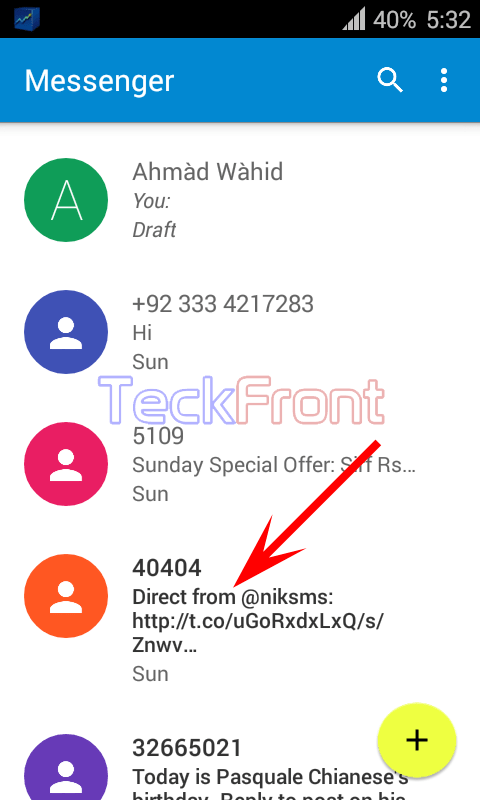 1: Open any message in ‘Messenger’ app of Android 5.0 Lollipop. 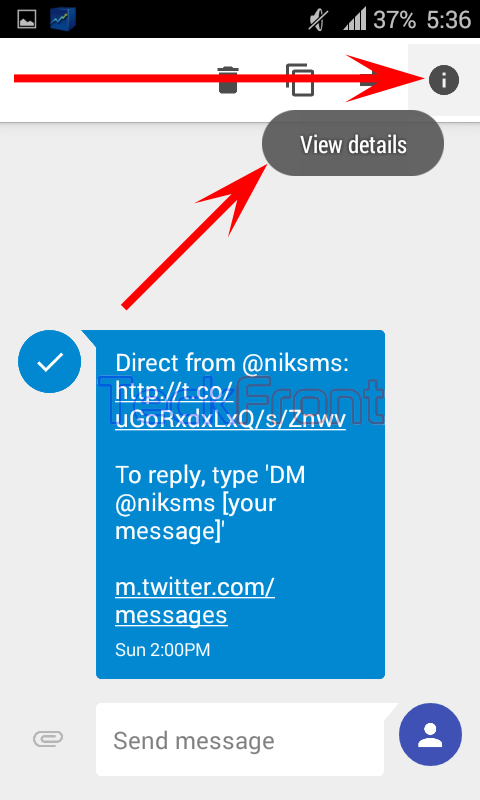 2: Select the message upon which you want to perform any of the action(s) by tapping and holding the message for a while. 3: See the color scheme of the message is change to bluish from orange. See also the status bar of the screen is changed and four buttons are displayed in the status bar. 4: Move the finger on the first button from left and see the screen tip is ‘Delete’. To delete the message, tap ‘Delete’. 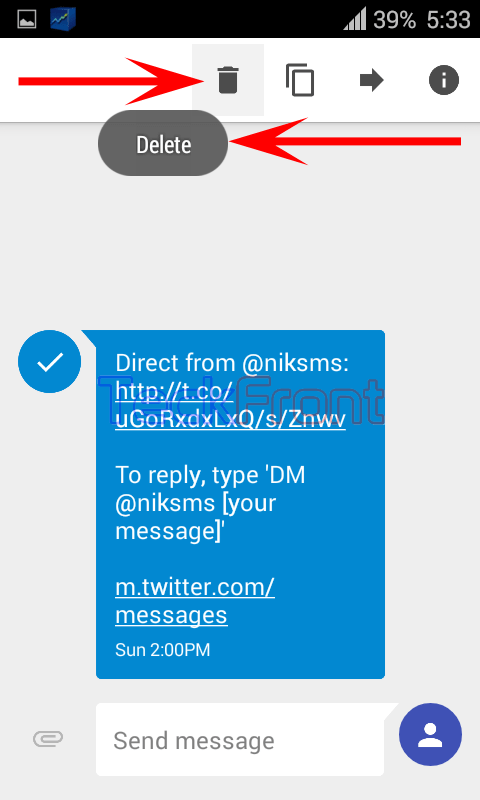 5: To copy the text in message, tap second button from left, screen tip of which displays ‘Copy text’. 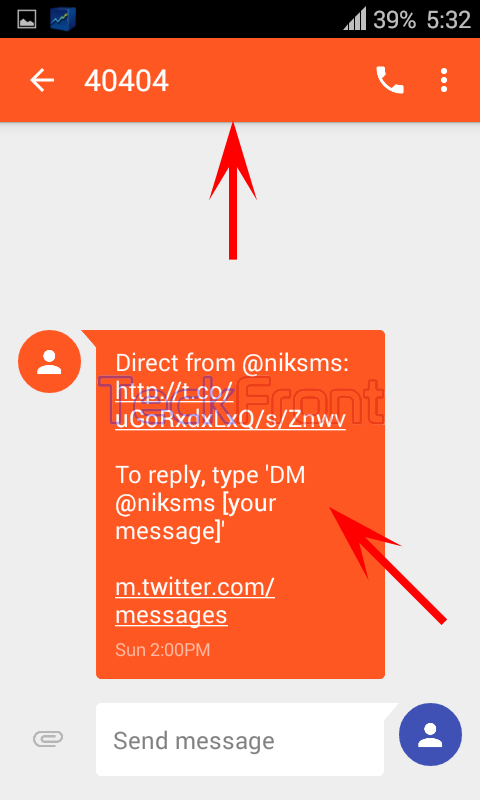 6: To forward the text to some other contact, tap the third button, the screen tip of which displays ‘Forward’. 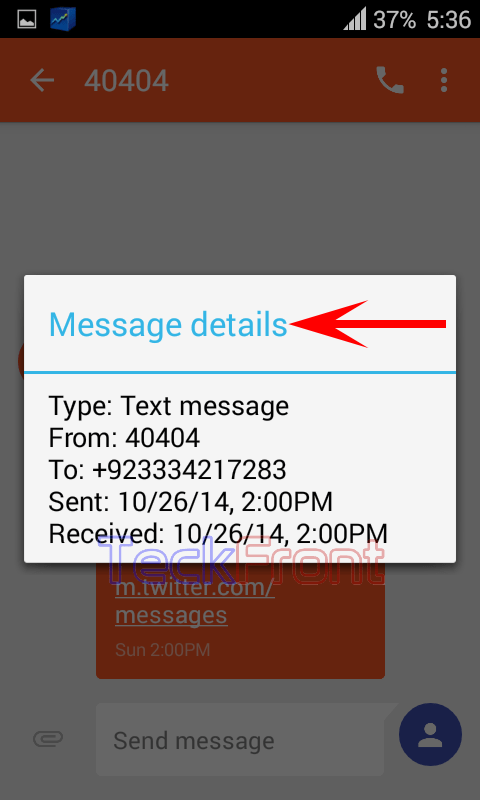 7: To view detailed info about the message, tap the first button from right, screen tip of which displays ‘Info’. 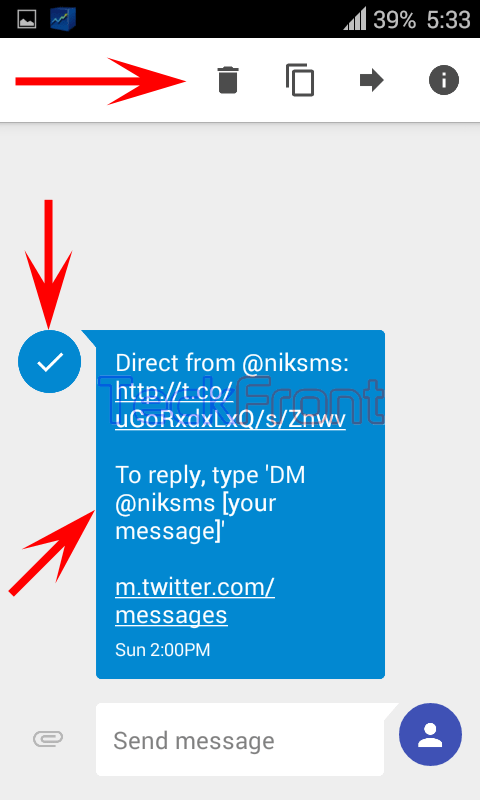 8: Tap the button and a prompt popup will display the message info. 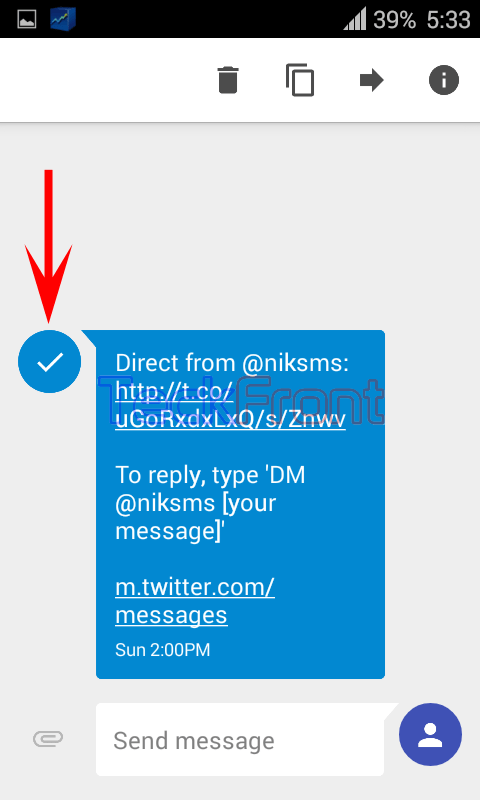 8: To deselect the message, tap check mark, at the left of the message. That’s all! 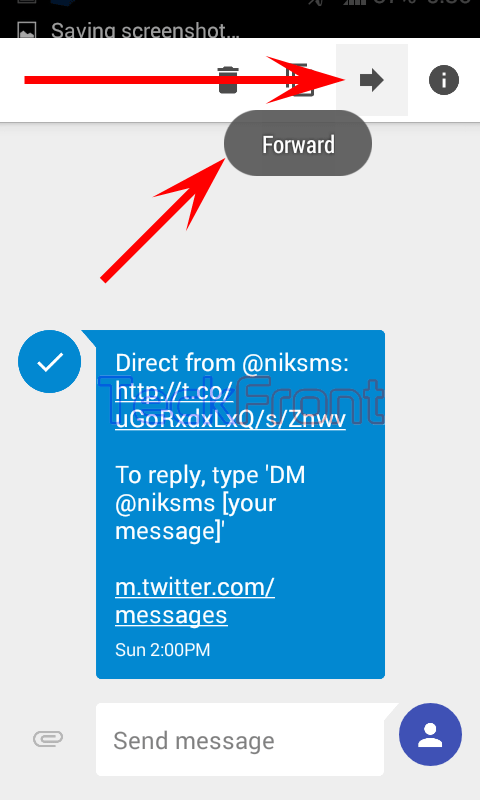 Older How to Send Messages in New Messenger App of Android 5.0 Lollipop With Tutorial Video?